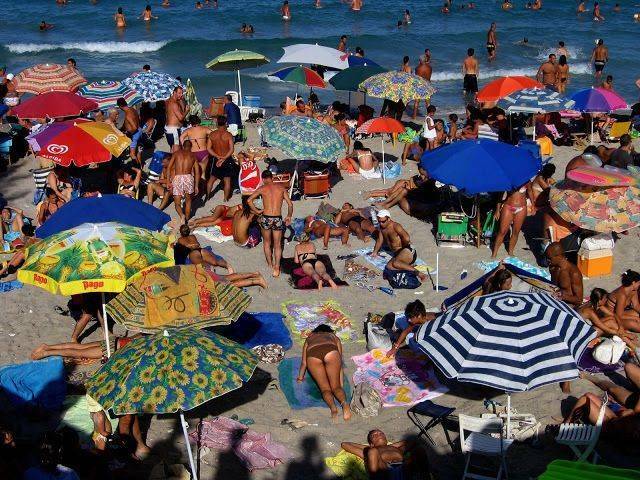 Ferragosto is Italy’s annual summer holiday, celebrated Aug. 15 with a complete shuttering of work places save for coffee shops, restaurants, hotels and beach establishments. This is the one day of the year when the streets of Rome are deliciously empty. This year the holiday is all the more important, for it marks the second millennium since the death of the Emperor Augustus. Italy is commemorating the celebration in museums, conferences, and restorations of places associated with Augustus and his age. ROME – Ferragosto is Italy’s annual summer holiday, celebrated Aug. 15 with a complete shuttering of every place of work save for coffee shops, restaurants, hotels and beach establishments. This is the one day of the year, in the middle of the month is named for him, when visitors can stroll through deliciously empty Roman streets undisturbed by traffic and chaos. This year the holiday is particularly important, for, as it happened, Augustus died on Aug. 19, precisely two thousand years ago. This Ferragosto therefore marks the beginning of the bimillennial year of “Augustus Superstar,” as one Roman newspaper called him in a headline. as Octavian). Declining to become a dictator on the Julius Caesar model, he instead founded in 27 BC what was called “the principate,” a monarchical dynasty that replaced the earlier Roman republic. Four years later he consolidated his power by defeating Cleopatra’s Antony at the Battle of Actium, to become the undisputed ruler of Rome after 31 BC. To enforce the so-called “Peace of Augustus” he created Rome’s first standing army and expanded Rome’s frontiers. Rome begins its bimillennary celebration of his death on Sept. 18, when an Augustus walkway, or percorso Augusto, is opened to the public. That walkway through the Roman Forum begins at the Palatine Hill, where Augustus was born as Gaius Octavius (later known simply as Octavian) on Sept. 23 of 63 BC, and where he lived as emperor. 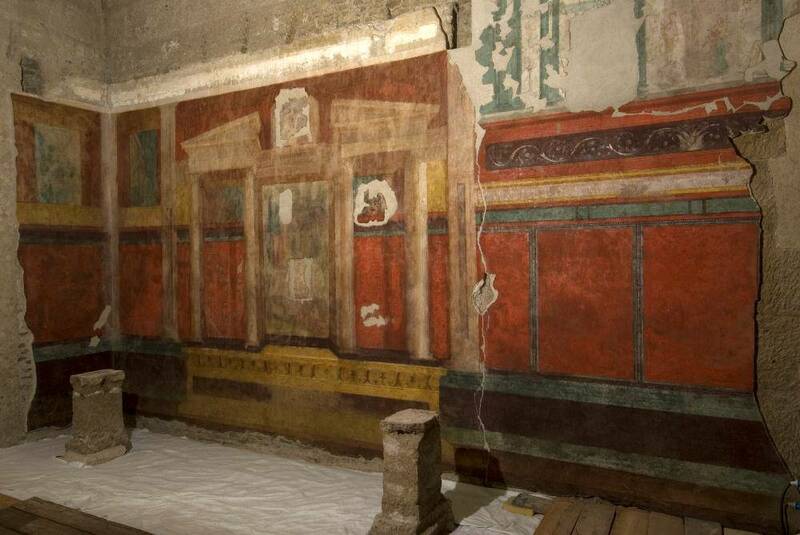 The Palatine Museum has been completely renovated and expanded, and visitors will be allowed inside the House of Livia (his third and beloved wife), where its dining room or triclinium will be open to the public for the first time. The emperor’s so-called “secret room” will also be open—the bedroom where he slept and made crucial political and military decisions. 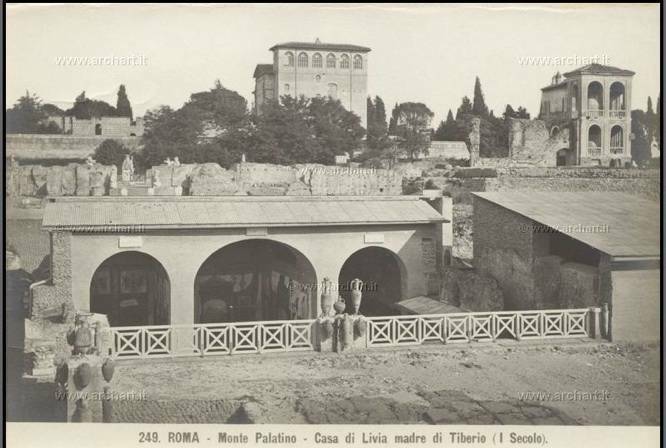 Bookings are required to visit both the Palatine Museum and the House of Augustus ; they will be accepted as of Aug. 25 by telephone: +39 06 3996 7700. Outside Rome the second millennium is being recorded with new discoveries and restored archaeological sites associated with the Age of Augustus, such as the Augustan aqueduct and theater at Chieti in the Abruzzo. Rimini will honor its great Arch of Augustus, and Aosta in Piedmont, the Augustan road carved by his army into the Alps. Similarly, Milan, Brescia, Verona, Ravenna, L’Aquila, Cassino, Siracusa and Ascoli Satriano, near Foggia all have sites bound to the memory of Augustus. The name “Ferragosto” derives from the Latin “Feriae Augusti,” or the Repose of Augustus, who introduced the holiday in 18 BC. In fact, is coincided roughly with, and incorporated, older specifically Roman fetes, particularly the “Vinalia rustica.” Described by Pliny, Ovid and Varro, the Vinalia rustica was celebrated Aug. 19, considered the beginning of the grape harvest. Offerings were made to Jupiter and presumably also to Venus, goddess of love, as well as to Diana the huntress as well. This late-summer break followed the hardest months of labor in the fields, and historians suspect that it involved “collective rites and eating, drinking and sexual excesses,” to quote from Rosamie Moore on the interesting website www.romeartlover.it. The holiday became sacred to Christians in the 6th C AD, when it was co-opted it as the Feast of the Assumption of the Virgin into Heaven. And indeed it remains a day to encourage heavenly or at least restful thoughts. The reminders of troubles are to be set aside, such as Italy’s sinking GDP (down 0.2 for the past three months, as we have just learned), and reflections upon the pointlessness of the wildcat strike called this week at Rome’s Fiumicino airport by the baggage handlers who let 100 flights depart with no suitcases (yes, one hundred!) Another reflection we can set aside until it’s back to business: the fact that a former Interior Minister, Claudio Scajola of the Partito della Lberta’ (PdL0, has been under house arrest for allegedly aiding and abetting a crony wanted by police to escape from Italy. Although he leaves house arrest Friday, magistrates have just found his secret archives hidden inside the wall in another of his houses, this in Reggio Calabria. Another consideration to set aside for Ferragosto: the incarceration of another former cabinet minister, this time in the Ministry for Culture. Giancarlo Galan – like Scajola, PdL -- is accused of taking kickbacks from contractors in the Veneto. The money allegedly served to keep the party afloat, literally, since the kickbacks involved the public funding of the Mose’ project for Venice’s defenses from high water. If we did look ahead to September, there is a positive thought: those in the know tell us that the sitting Senate, which has just voted itself down from 360 to 100 members, is in no hurry to end the current legislature which gives them employment and a salary. Also encouraging was Silvio Berlusconi’s formal declaration this week that he sees no advantage in rushing into early elections – even though the former Premier formally appealed this week for Premier Matteo Renzi somehow to allow him to run again for Parliament, as was denied Berlusconi by his conviction for tax fraud. Can it happen, can he be a candidate? Possibly, but it seems doubtful, and one must not worry about it on Ferragosto.